In case you have been vacationing or sworn off social media for the new year, there have been some changes happening over the past month in my life. The biggest and most notable is that I have now partnered with Yamaha (Yamaha Motor Corp, USA) for different marketing opportunities within motorcycling and motorsports. I know it was a pretty big shock for many and they might think it’s just for a paycheck, but that definitely wasn’t the case. I am beyond grateful for everything I was able to accomplish at Kawasaki and nothing will ever change that. When it came down to it, Yamaha provided me some pretty cool opportunities to do things that I have been interested in for years. A lot of people don’t realize that this isn’t my first stint with Yamaha. I rode them before I switched over to Team Green. Mitch (Pro Circuit) was even one of my sponsors. I hope that all my fans can see I love motorcycles and motorsports and a lot has changed since I stopped racing. Our family grew – quickly (hi Gage and Brax), we’ve moved a few times, but one thing that hasn’t changed is my love for racing and being a part of it all. 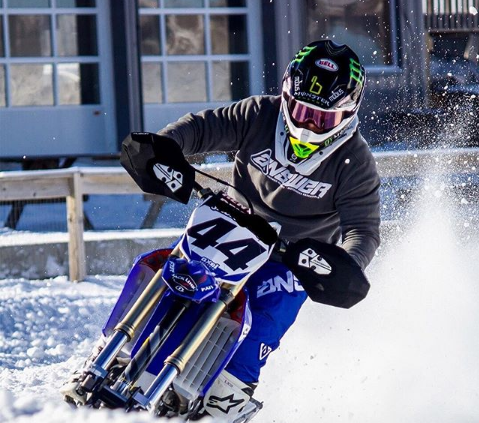 Again, if you’ve been away from the social media for some New Years resolution, I’ve decided to race Snowbikes at XGAMES in Aspen on January 27. I went up to Minneapolis for a few days to test it out. Let’s just say it was a lot of fun, but probably the hardest thing I’ve ever done on a dirt bike. 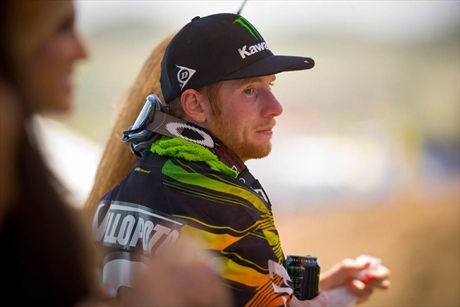 It took me a little time to get used to differences from a standard dirt bike, but by the end of the test I was feeling really confident that we can go out and have a good time at XGAMES. Let’s stop for a second to see what I’m getting into. This is from the first-ever Snowbike race at XGAMES in 2017. Even if you watch only the first few minutes of the race, you’ll see all the lead changes with people falling. So it’s pretty much a survival race as much as one of skill. If you’re not coming to Aspen next weekend, don’t miss it when it comes on TV. The race is supposed to be at 5:15 pm ET on January 27. Check the TV Schedule HERE. Last I figured I would just show you how awesome my kids rock on their little scooters. They literally get up in the morning and want to do laps. But the practice is paying off as you can see. I have to give it up to my wife Kristen who has been killing it as a mom, especially when I’ve been testing and getting ready for XGAMES. You rock babe. Wish me luck at XGAMES!